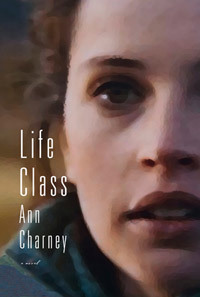 In her fourth novel, Life Class, award-winning author Ann Charney follows the trail of a young woman, Nerina, who sets out in search of better life after the breakup of the former Republic of Yugoslavia. Buoyed by wit and determination, she soon makes her way into the art circles of Venice, New York and Montreal, where willing mentors – and even dogs – collaborate to advance her progress. Despite her brutal start in life, Nerina faces each day with humour, optimism and resourcefulness. She is of those rare, clear-eyed individuals, who know the worst men are capable of, but manage to find the good in between. Ann Charney’s Life Class is an unusual diaspora novel, casting its protagonist not as a leaf scattered by wind, but as a brave explorer following her ambitions. "Charney writes in spare, tight prose, setting a brisk pace for a lively plot line and the introduction of intriguing characters." LIFE CLASS is a holiday gift pick by Anne Logan on CBC Homerun Calgary.